What is a Collaborative Pianist/Vocal Coach? A collaborative pianist is someone who works in collaboration with one or more instrumentalists or vocalists to create a finished, polished musical experience for the listener. They enjoy working with chamber musicians or soloists as the primary means of performance. Many collaborative pianists also engage as a vocal coach; topics such as lyric diction, text interpretation, dramatic presentation, audition strategies, and stage presence are covered. 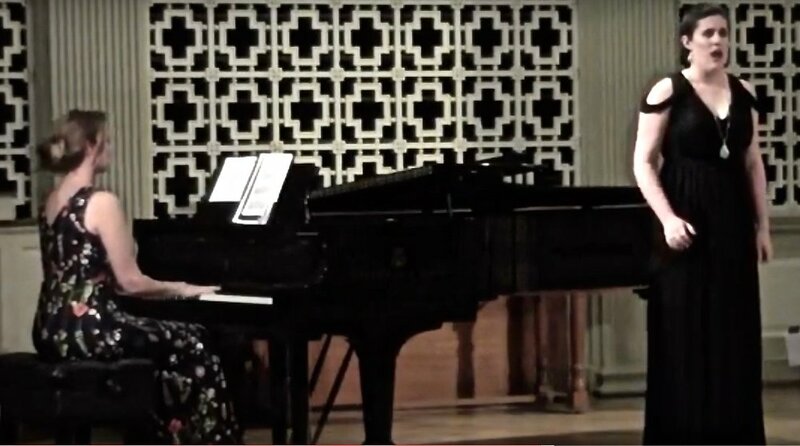 Kaarin is sought after for collaborative piano engagements and vocal coaching because of her attention to expressiveness, diction detail, and character development. As a graduate of renowned Westminster Choir College’s Master of Music in Piano Accompanying and Coaching program, Kaarin’s philosophy on vocal coaching centers around lyric diction, text interpretation, dramatic presentation, confidence on the stage, and the elegance of historically informed performance practice. In vocal coaching sessions, specific attention is paid to articulation and the interpretation of French, German, English, and Italian texts, incorporating both diction and dramatic coaching into the lesson. Coachings are available in either 45 minute and 60 minute intervals and are offered at the beginner, intermediate, advanced, and professional levels. Accompanying for festivals, juries, college auditions, and a host of other scenarios is also available. Kaarin's most recent experience as a coach includes a position as a collaborative pianist with the CoOPERAtive program at Westminster Choir College. This intensive program for operatic vocal soloists focuses on operatic style, performance techniques, dramatic presentation, language, diction, and body awareness. Collaborations, coachings, and master classes were held with Eric Weimar (Metropolitan Opera, Lyric Opera of Chicago), Howard Lubin (Juilliard, Oberlin, Cologne Opera), Joan Dornemann (Metropolitan Opera, La Scala, Opera Paris), Susan Ashbaker (Opera Company of Philadelphia), Stephanie Sundine (Sarasota Opera), and Kathleen Kelly (Vienna State Opera, Wolf Trap, Glimmerglass). The following list is only representative of works performed; it is not comprehensive.